Fashion in general can be defined as something that entices people to follow and emulate it in their day-to-day life. For students, fashion means glittering dresses, sparkling jewellery and immaculate hairstyles. They associate fashion with the world of glamour and many aspire to create a name for themselves in the world of fashion by pursuing this field of study. To do so, one might need admissions to notable institutions and financial means in form of fashion scholarships. It’s a general conception that education in the field of fashion is quite a costly affair. Many students drop out of the course in the middle as they find themselves unable to pay the high tuition fee of the course. 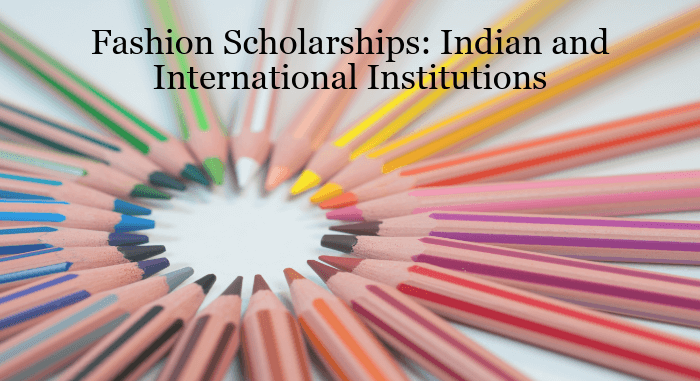 To curtail the dropout rates and retain the bright and creative minds in the field, government as well as private entities have introduced a number of fashion scholarships schemes for students. Some of those scholarships for fashion students are listed as below. Presented by the Pearl Academy, this scholarship is awarded to students who qualify their nationwide creative contest based on some specific themes every year. The students of Class XII and final year graduation (third/fourth year) are eligible to apply for this scholarship. The Academy will provide 25 fashion scholarships worth INR 2.5 Lac and 500 fashion scholarships of INR 50,000 to the qualified students. This scholarship is introduced by Otomo for the students of art and design, marketing, business, IT or communications, with creative mind and passion for jewellery or writing from all over the world. To be eligible, the student must be studying at college or high school. They are also required to submit essay on a given topic to qualify to be considered for the scholarship. The scholarship amounts to GBP 1,000. Istituto Superiore di Design (ISD) launched this scholarship for the students of design from all over the world. To avail this scholarship, students must be in their final year of high school/degree or must have valid work experience in the relevant field. Fashion Scholarships of worth Euro 4000 will be provided to the competent students. Announced by Colgate, the objective of this scholarship is to provide students with best education and bright future. All students below the age of 21 years are eligible to apply for this scholarship. A total of 25 qualified students will get scholarship worth INR 1 Lac each and 276 students will be provided with scholarship worth INR 10,000. After scrolling through the list of fashion scholarships, let the dream and aspiration to create a niche in the fashion industry arise in you.